Flick Electric Co. launched in 2014 with a unique business model that delivered far better outcomes for customers. 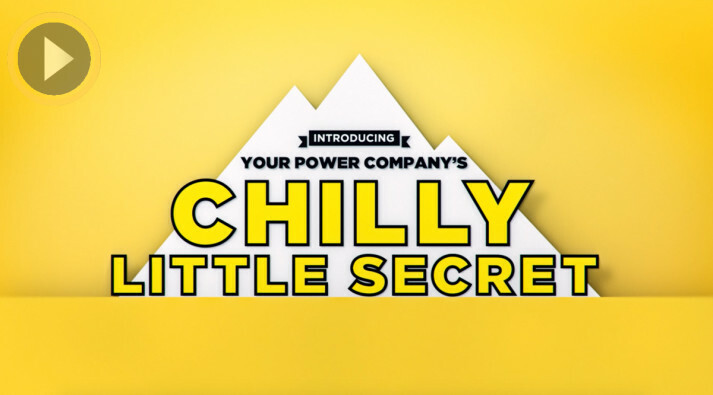 But in a category full of claims & counter-claims, we had to inspire Kiwis to find out more. 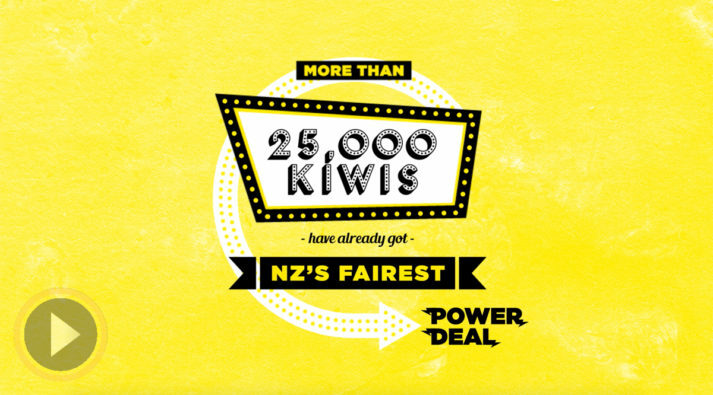 ‘New Zealand’s fairest power deal’ made a complex message simple – on emotional and rational levels – and positioned Flick as the undisputed consumer champion. 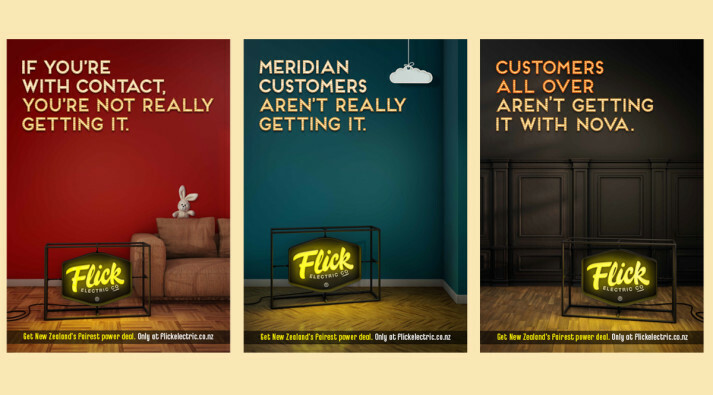 Provocative launch messaging – delivered through outdoor posters and online media – took on the category directly, showing complete confidence in our offer, and forcing their large numbers of customers to directly question whether they were really ‘getting it’. 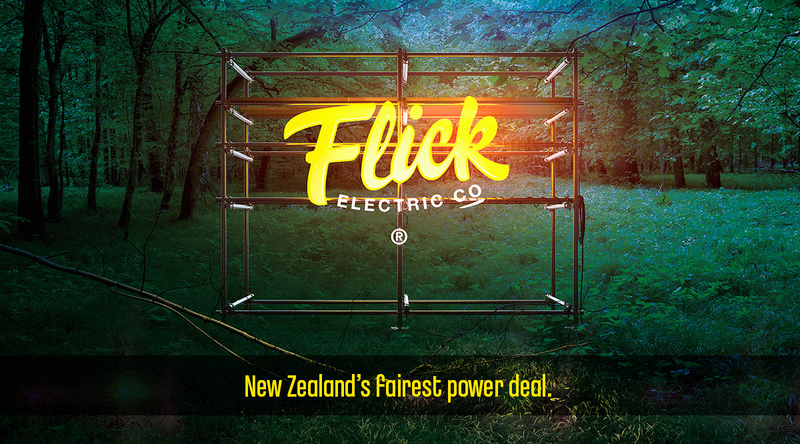 And to show consumers what ‘New Zealand’s fairest power deal’ really meant – this video delivered the full story - with a distinctive tone - on the Flick homepage. Website tracking showed immediate lifts in time on site, engagement and conversion. 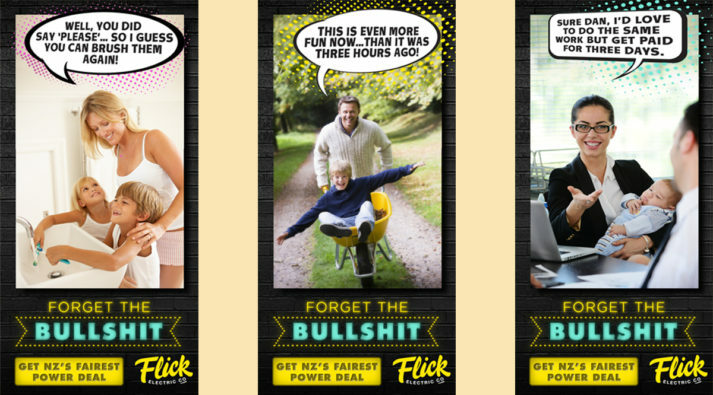 Our focus on ‘consumer enlightenment’ (with an honest and irreverent voice) extended to Flick’s tactical messaging. 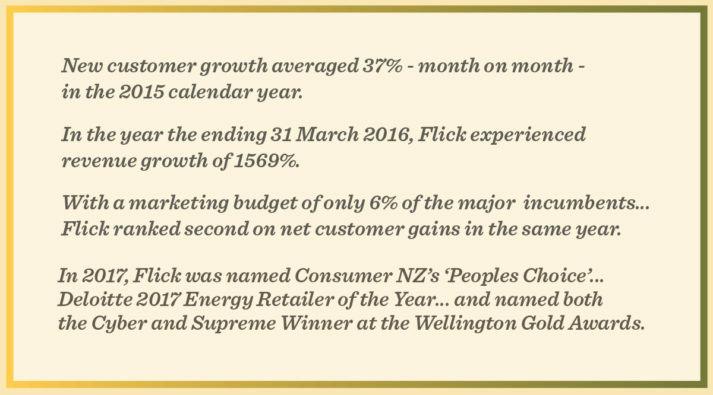 This example explained Flick's ‘winter pricing’ story in a distinctive way that was difficult to ignore... as extensive social seeding and online display reinforced key messages. 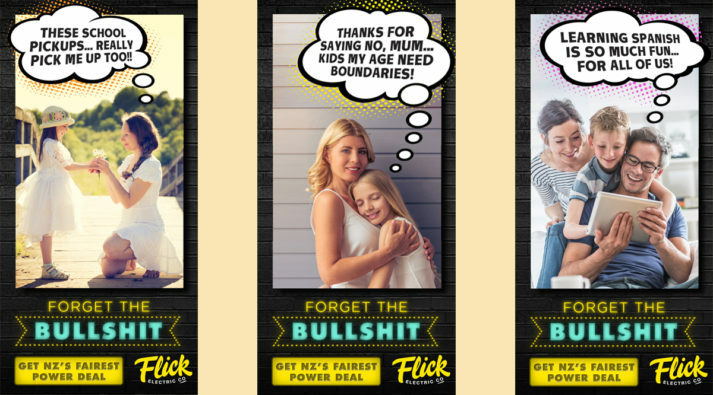 When Flick sponsored the “Parenting” section of TheSpinoff - we tailored the core positioning to another tactical campaign, matching the down-to-earth tone of the site and it’s writers, and aligning their take on ‘honest parenting’, with an honest deal from your power company. 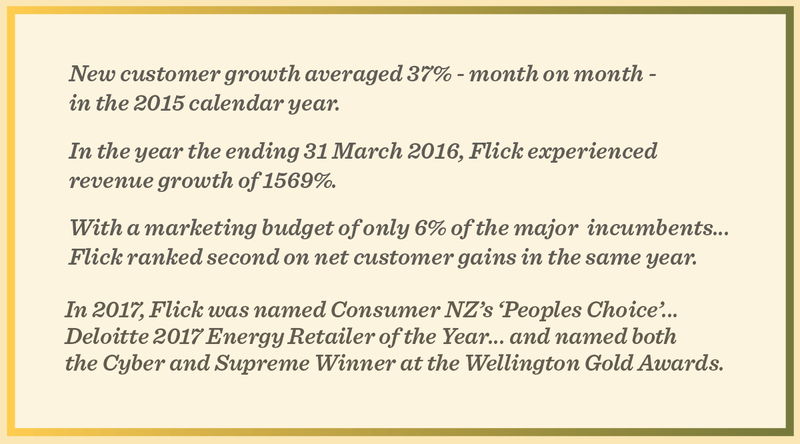 And when Flick launched a world-first app in 2016 - giving Kiwis the power to see the carbon impact of their power use - we developed the name, identity, and a social / PR based promotion campaign. 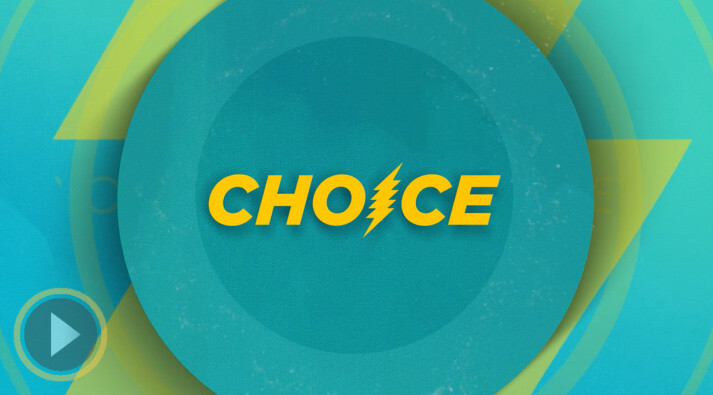 'Choice' was downloaded by around 50% of customers in it's first 3 months... with over 2,000 downloads from non-customers delivering a rich target audience for future acquisition. Flick's conversion rates, site engagement and customer numbers have all increased signficantly since the launch of the 'Fairest Power Deal' platform – a foundation which can underpin and shape the brand's messaging and offers for years to come.